Bartow Ford trucks come in all shapes and sizes, but today, we’re looking at the Ford F-150. 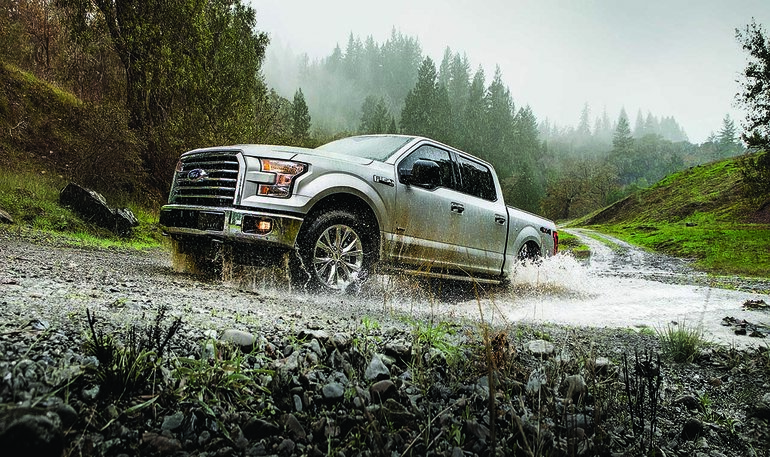 For the past four decades, the F-150 has been the best-selling vehicle in the nation. That means it has sold more units than any other truck, car, or SUV for more than 30 years in a row. The reasons why it is so successful are plentiful, and today we’re going to talk about the three most important. The F-150 is one tough truck. The current model was tested for over 10 million miles before it ever hit the market, which is only a testament to the lengths Ford will go to prove their engineering and design is right. It handled temperatures from 20 degrees below Fahrenheit to 120, signaling to consumers that this truck can work well in every state across our country. Prioritizing fuel consumption on a truck is a rare occurrence, but Ford has continuously made improvements to the F-150’s engine and body, making significant progress. Today’s truck gets an average of 19 miles per gallon in the city and 26 on the highway. These improvements come from years of weight saving changes made to the aluminum body, as well as technological improvements to the EcoBoost engine. Ford has set itself apart from many other manufacturers by offering people what they want: the ability to customize their F-150 to the exact specifications they choose. You can find trucks with beds as short as five and a half feet up to eight feet long, extensive off-road packages, spray-in bedliners, upgraded seating, a multitude of in-dash entertainment and tech features. The list goes on, which is why every customer is more satisfied with their truck than with a truck from any other manufacturer. 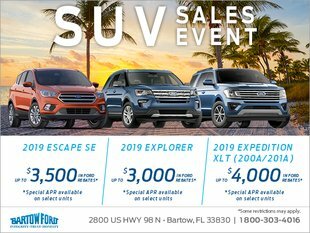 As you can see, the Bartow Ford trucks we carry are quite literally the best trucks available to consumers. We are proud to represent the Ford brand as we know our trucks to be the best suited for any job and any customer. Visit us any Monday through Saturday to take a look at what we have to offer. We’re conveniently located on 2800 U.S. 98 in Bartow, but you may also call us at 800 303-4016 for more information.